And more. A full list of all speakers is attached. The summit begins on April 3 with the OUR FOOD JOURNEY™ Small Change, Big Impact Challenge. Participating startups, individuals and nonprofits will present their ideas for improving our food system to a panel of food industry leaders. Winners will receive a share of $10,000 in grant funding, with the goal of fostering ideas that, no matter how small, will create positive change. 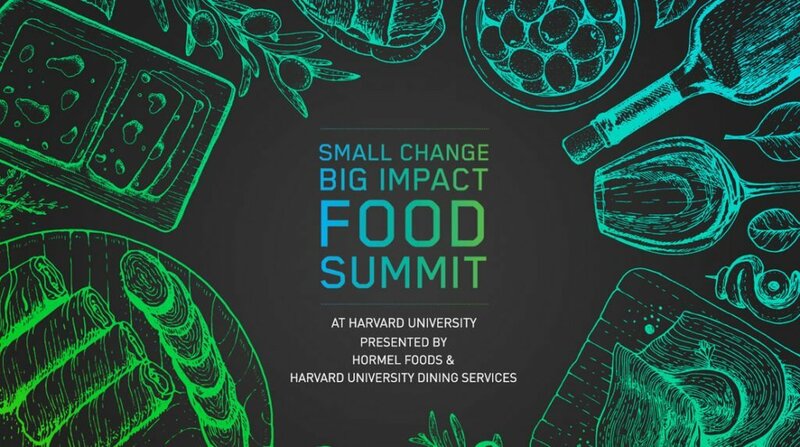 Hormel Foods and Harvard University Dining Services will also present the inaugural Small Change Big Impact Awards to changemakers and rising stars in food who have had or are making a significant impact and improving the future of our food. The summit is being co-presented by Harvard University Dining Services and Hormel Foods, and is being organized by Attention Span Media with CulinaryNXT.